Novartis was planning to roll out a new initiative that was designed to help patients monitor and track high blood pressure. Novartis needed a medium to communicate and promote this new program to senior executives within the company. Given this group's notoriously busy schedule, the development team knew they had only one chance to quickly and effectively communicate the key benefits of the initiative. 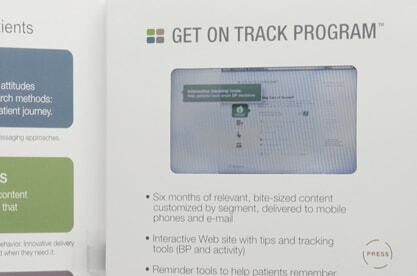 Novartis partnered with Americhip to create an innovative video book to deliver its message. 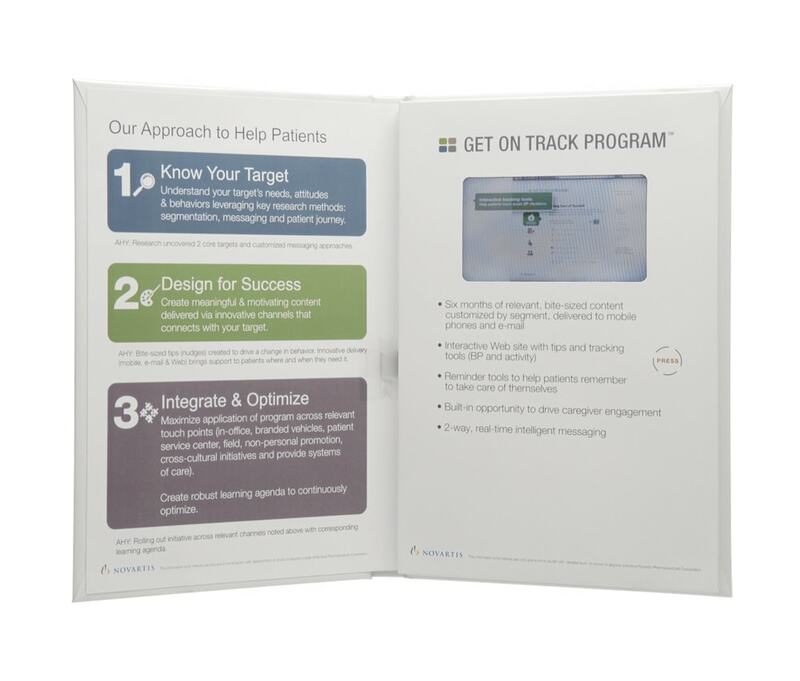 The result was a sleek hard cover book that incorporated Americhip’s patented 4.3” Video in Print screen. The marketing team targeted a high level corporate meeting in Basel, Switzerland to launch the video book. 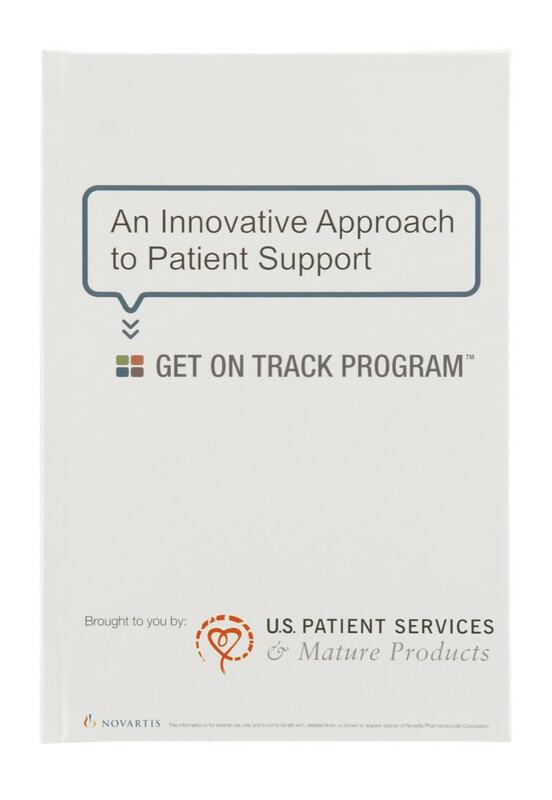 The simple but effective video literally showed what the program enabled patients to do online with an emphasis on its customization, interaction and mobility. The combination of the tactile, hand held book with an engaging video captured the attention of these senior executives.